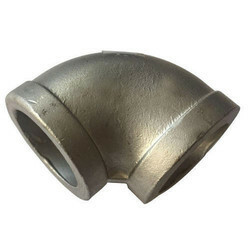 We are successfully meeting the varied requirements of our clients by providing the best quality range of Stainless Steel Elbow. Welcome to Shree Mahalaxmi Metal Corporation. This is an official website of Shree Mahalaxmi Metal Corporation to give detailed information about the products we supply to all our new and existing customers. Shree Mahalaxmi Metal Corporation is a leading steel suppliers located in Vadodara, Gujarat. From more than 33 years, we have been known for supplying all steel products and materials. Shrree Mahalaxmi Metal Corporation ( SMMC ) was established in the year of 1985. Shri Mahalaxmi Metal Corporation is the wholesale supplier for iron & steel products. Under the guidance of our mentor “Mr. R. C. PATEL", we have been able to meet varied requirements of patrons in a prompt manner.